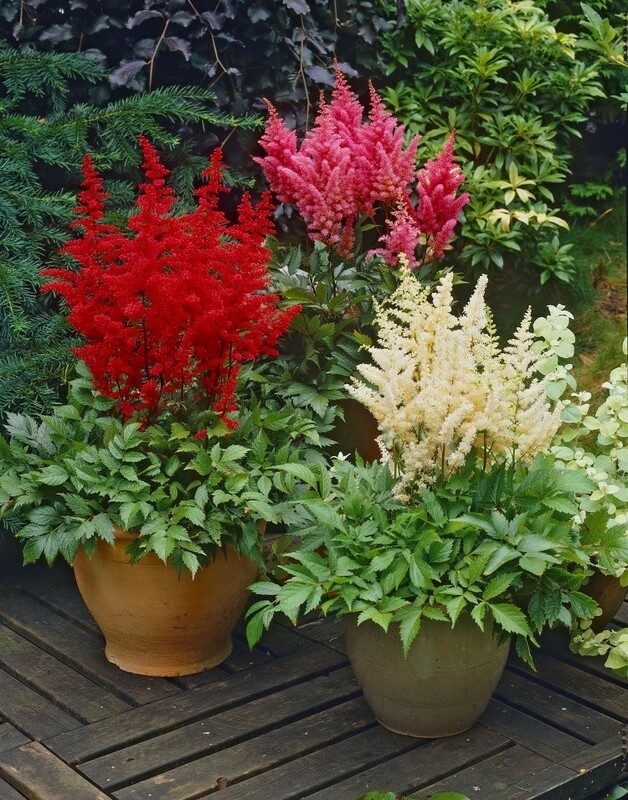 Spectacular Flowering Astilbes in assorted colours fill the garden with beauty like no other flower. These plants should be a staple item in any garden, being easy to grow and providing fantastic colour. Attractive lush foliage combined with magnificent feathery spikes of flowers really set it apart from other plants and textures in the garden. Used together in a large group for effect and impact, they can also be dotted between other plants on their own, or combined with other smart looking plants too. Perhaps try with different colours and textures such as with some Eryingium, or maybe some Hemerocallis day lillies. Dotted amongst a patch of colourful Hosta foliage, they add a real shot of drama as the bright flower plumes burst through. In summer the 60cm stems are topped by 20-30cm tall plumes smothered with tiny flowers, beautifully set off by attractive glossy foliage. It is particularly fond of shady spots, where brilliant colour is often lacking, but will tolerate sun too. It's not fussy about soil and even does well planted by waterside in a damp spot. 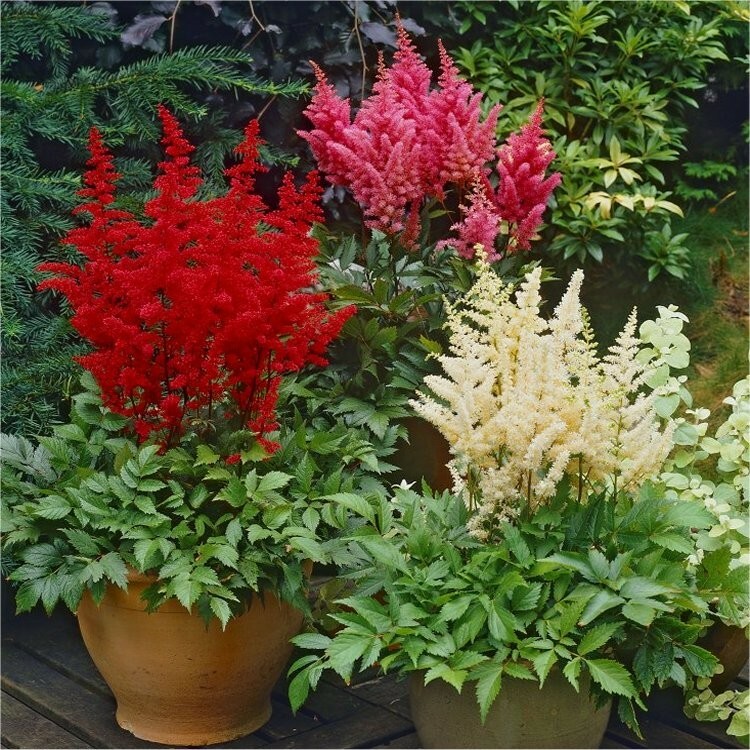 Pack of THREE Hardy Perennial Plants in three different contrasting colours, supplied in approx. 1-2 litre pots, covered in flowers in season to help recreate the look pictured instantly perhaps?